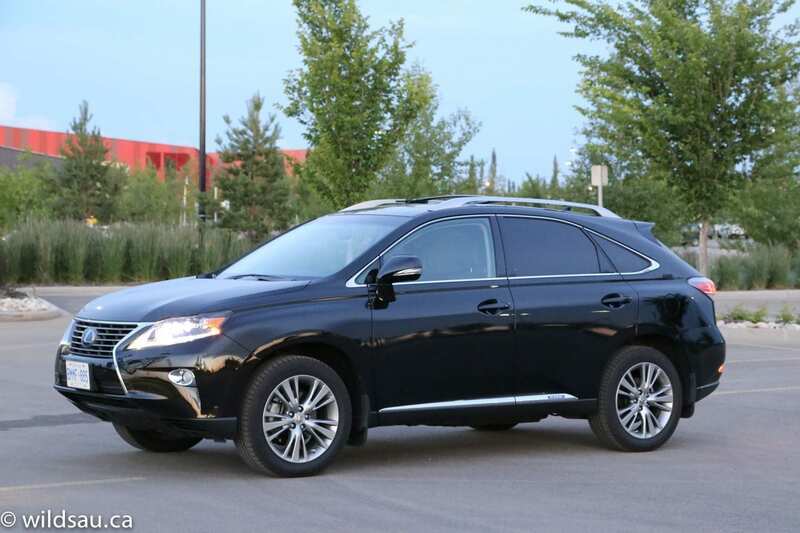 Well, here we are in another iteration of Lexus’ familiar RX SUV. 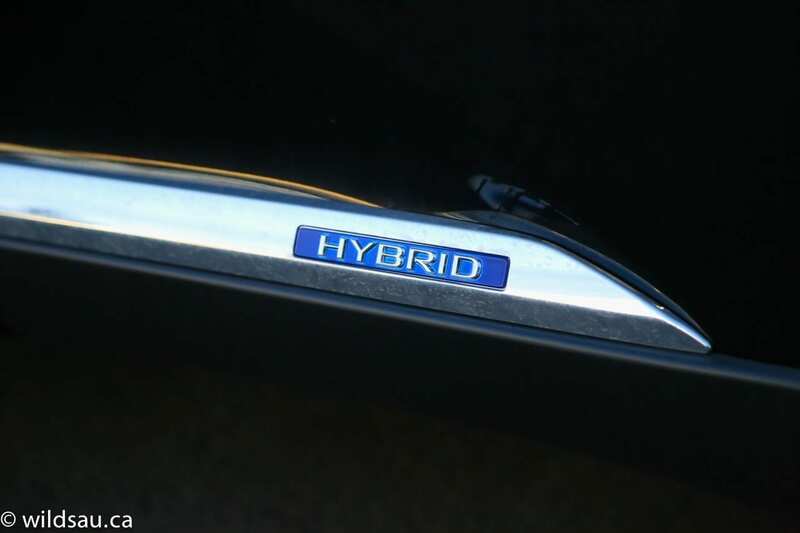 This time it’s the hybrid. I’ve always wondered what this model is like, since it has a significantly different powertrain from the other Toyota hybrid products. Let’s start at the bank, shall we? If you weren’t sober before that, you are now. Yes, I had to sit down when I saw the price on this bad boy too. Zoicks! Here’s the real story. 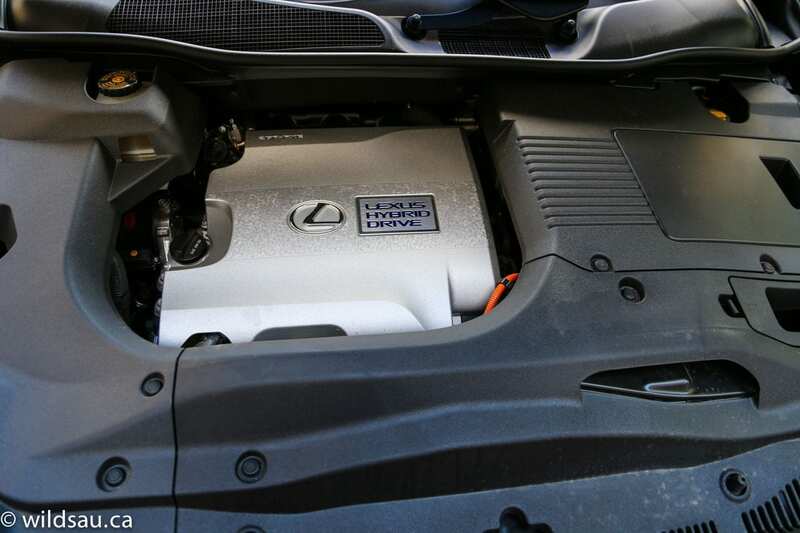 Unlike the smaller hybrids, Lexus puts a 3.5-litre V6 in this vehicle, and couples it with electric motor power to come up with 295 net horsepower which is sent through a CVT (continuously variable transmission) to an all-wheel drive system. 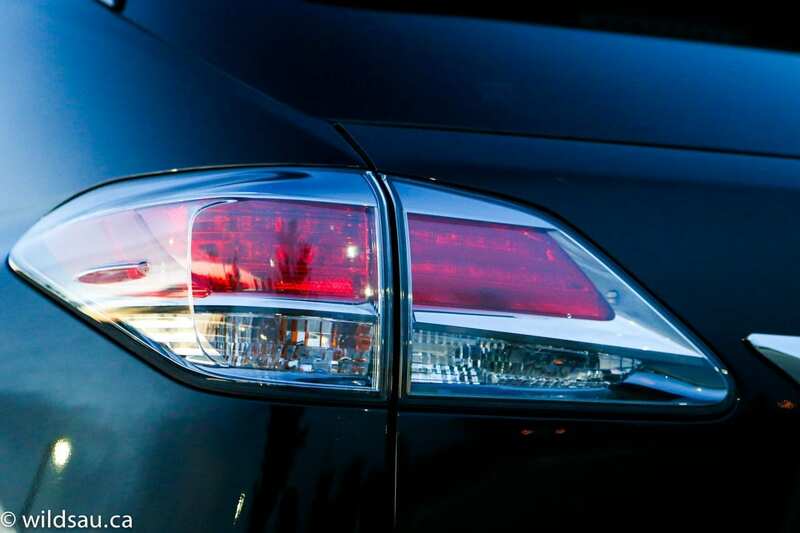 Is is a mileage monster? Not like a Prius, it’s not. But it does quite well. 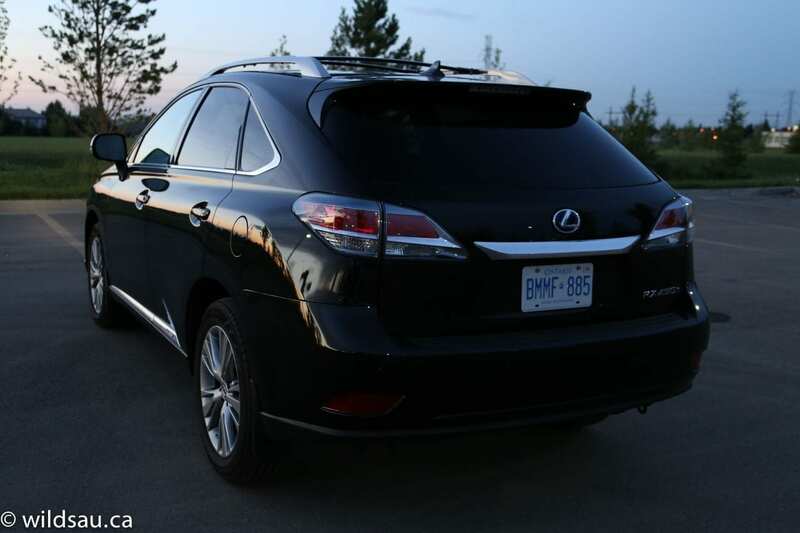 It’s rated at 6.7 L/100 km (35 mpg) in the city and 7.2 L/100 km (33 mpg) on the highway. It saw two different usage periods with us. The first half of our time was exclusively city driving, where we averaged 8.4 L/100 km (28 mpg). 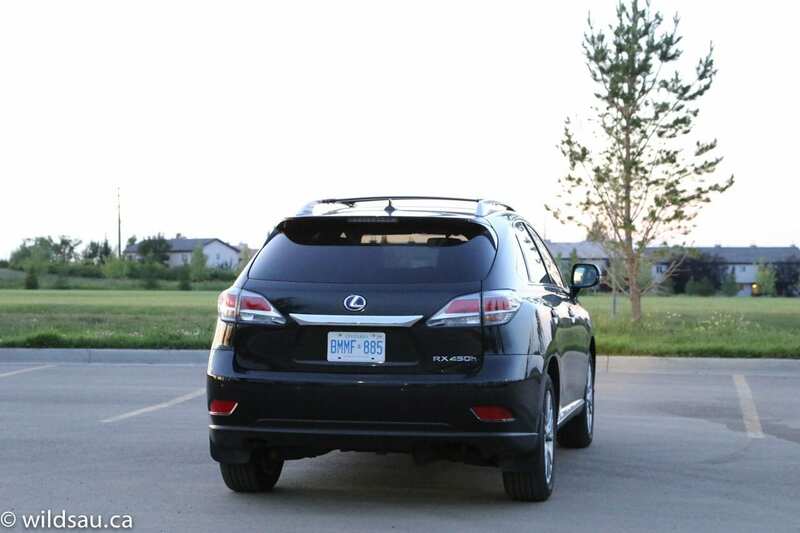 During the second half, it spent the majority of its time on the highway as it transported my family to our cabin – here we averaged 8.1 L/100 km (29 mpg). Both are significantly better than you’d be able to achieve in anything else that’s even close to the size and weight of this thing. How much weight, you ask? A chunky 4652 pounds, more than 300 pounds heavier than its non-hybrid twin. The fuel tank holds 65 litres and unfortunately any savings on your fuel bill will be dampened by the premium gas requirement. There’s little to say about the outside styling. Every single person on this planet has probably seen an RX by now. 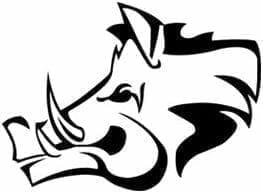 Sure, it’s evolved since it came out, but it still remains very recognizable. Little sets this one apart from its regular gas-powered brethren other than rear model badging. 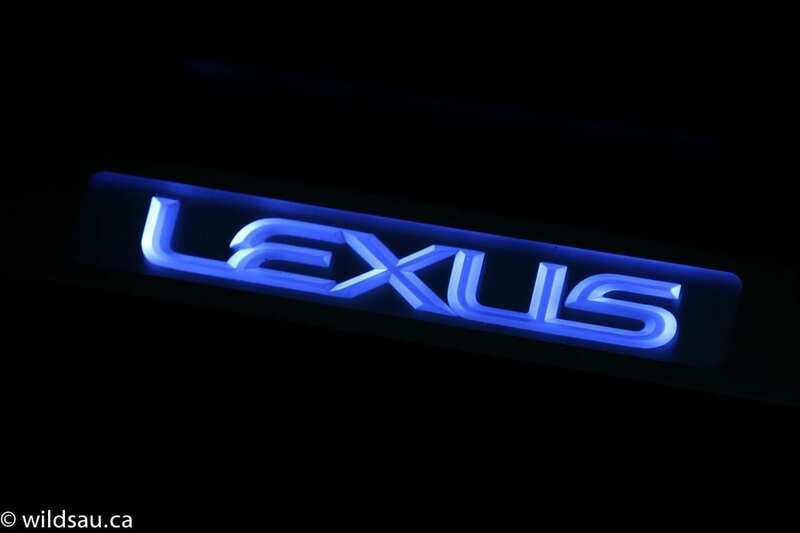 There are hybrid badges set into the chrome on the lower sills and you get blue-tinted backgrounds in the front and rear Lexus logos. That’s about it. 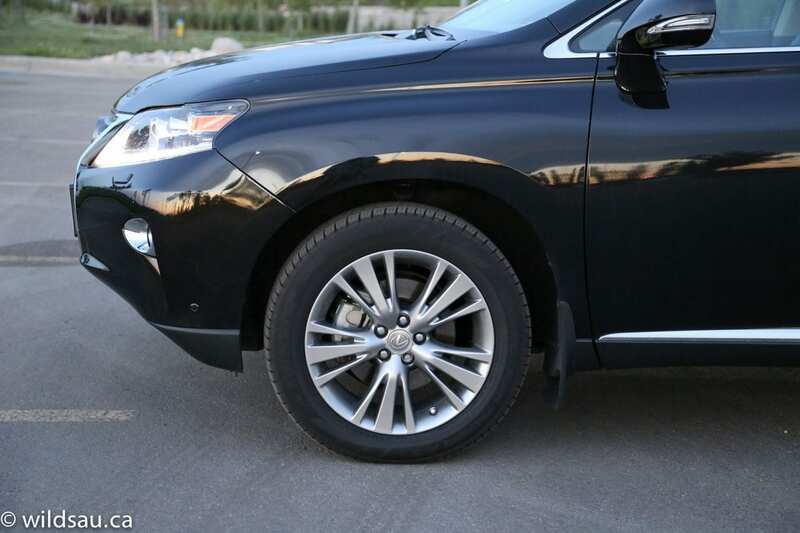 I did like the bigger 19″ rims that were part of the upgrade package – shod here with 235/55-sized rubber. 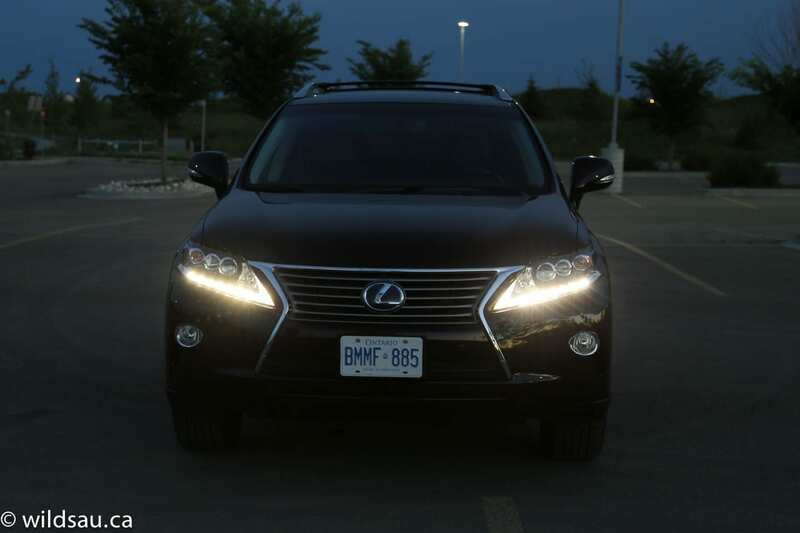 When it comes to quality, it’s tough to find any fault with the RX. The materials are nice, soft-touch plastics and the fit and finish appears flawless. The seats (heated, cooled and ridiculously adjustable) are very comfortable but not very well bolstered. The heated power-adjustable wood steering wheel is very nice. 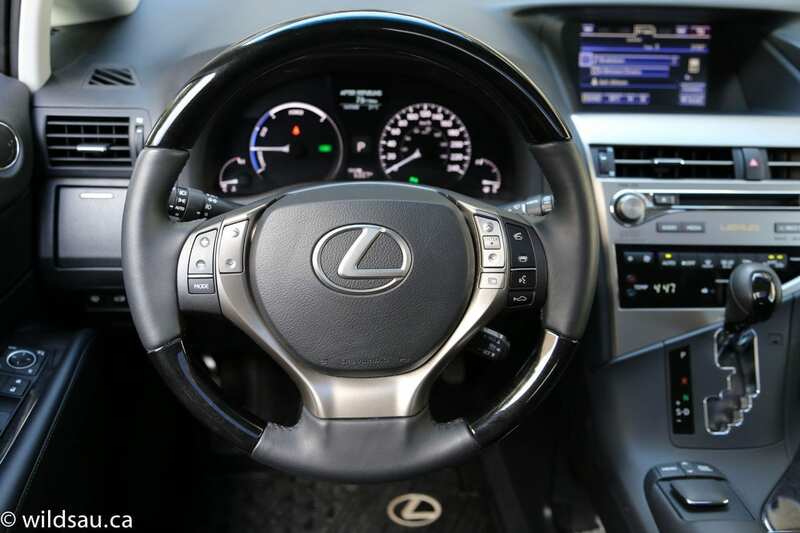 The upper dash holds a deeply-set non-touch screen, which is controlled by Lexus’ mouse-like Remote Touch controller. I’m not a fan of it, but I did get used to it. 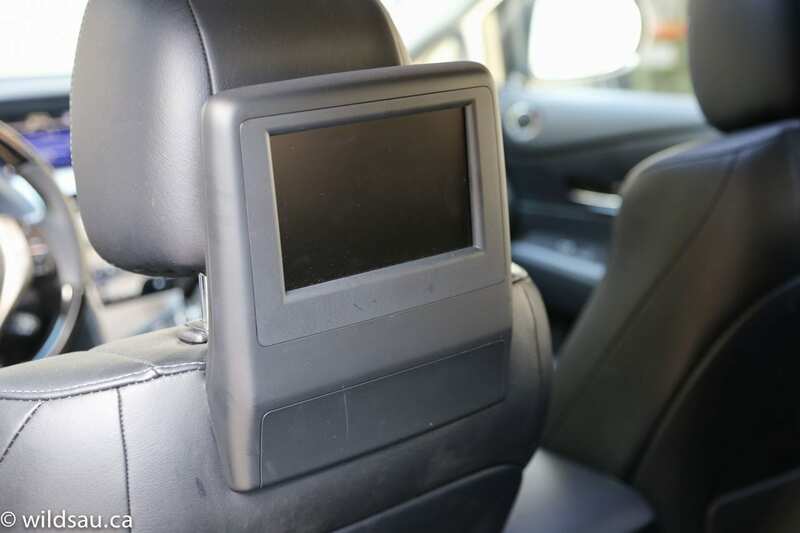 The screen handles your media, phone, navigation and vehicle settings. The upgraded 15-speaker Mark Levinson sound system is simply incredible and plays effortlessly at any volume. 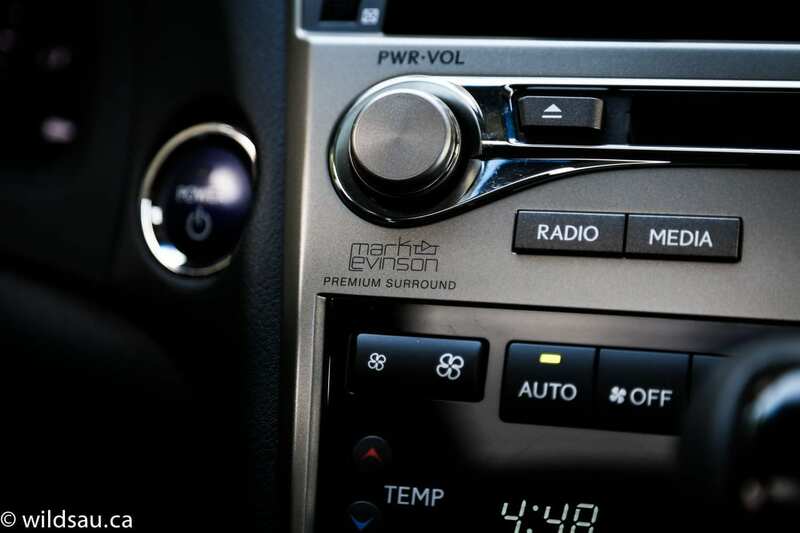 There’s a dual-zone auto climate control with a strange, squished layout. Overhead is a power tilt/slide sunroof and a universal garage door opener. 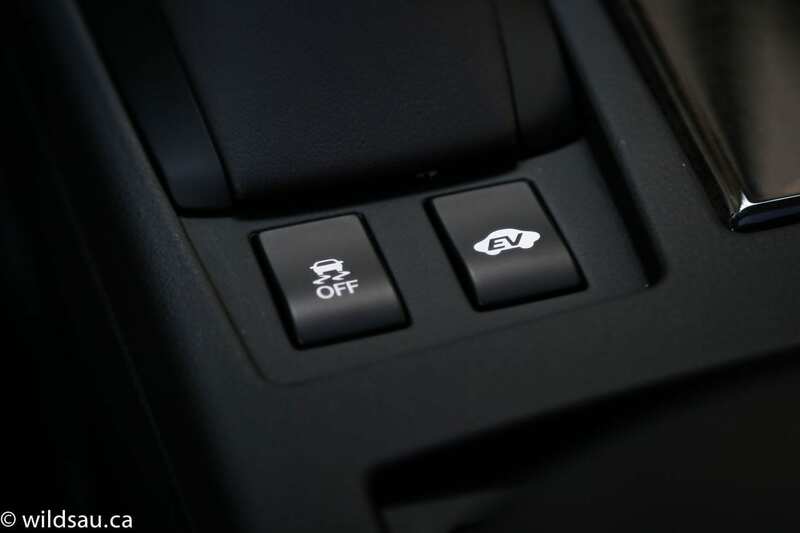 Considering the price, the driver assistance tech feels limited: dynamic cruise control, a backup camera with front and rear parking assist and a heads-up display that doesn’t do much more than throw a digital speedometer up on your windshield. Back here are three seats. The main seats are very comfortable – they recline and slide fore and aft. 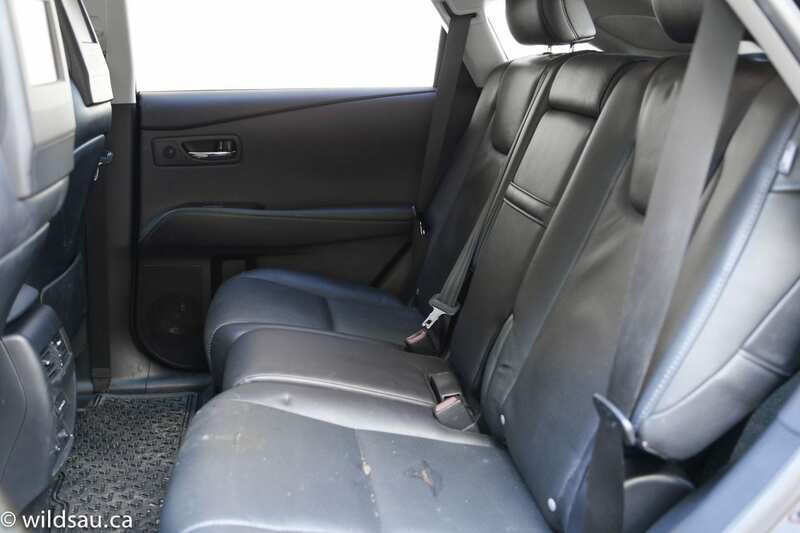 The middle seat is usable for adults in terms of width, but the foot room is limited because of how far back the center console comes. Otherwise, there’s plenty of headroom and leg room. 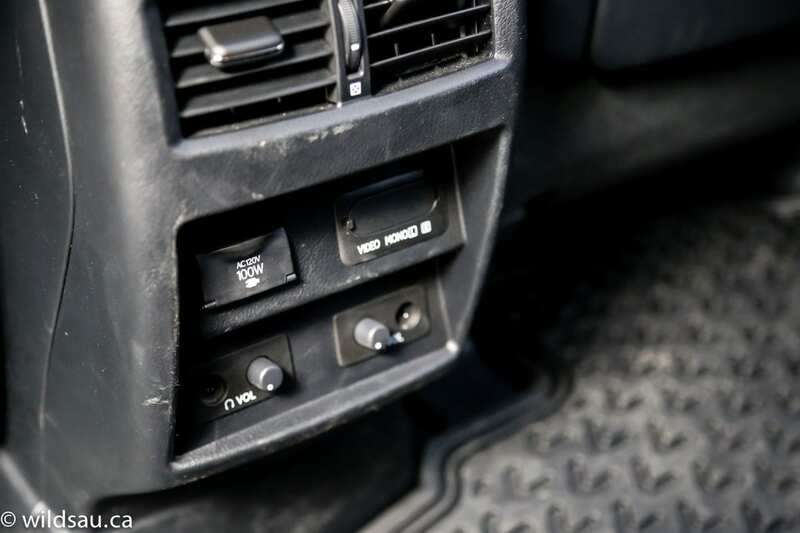 Convenience and comfort comes in the form of rear air vents, a 12V plug and a 120V household plug and some old-school headphone plugs and volume controls. Oh, speaking of old-school, you also get ridiculous dual rear DVD screens with wireless headphones. First of all, if the headphones are wireless, why are there headphone plugs? And secondly, NOBODY wants these fixed rear screens. They’re tiny, expensive and incredibly limited. Save yourself a couple of thousand dollars on these dumb things and get your kids some iPads. Speaking of kids, there was plenty of room for our three, and you’ll get two sets of LATCH connectors for childrens’ seats. 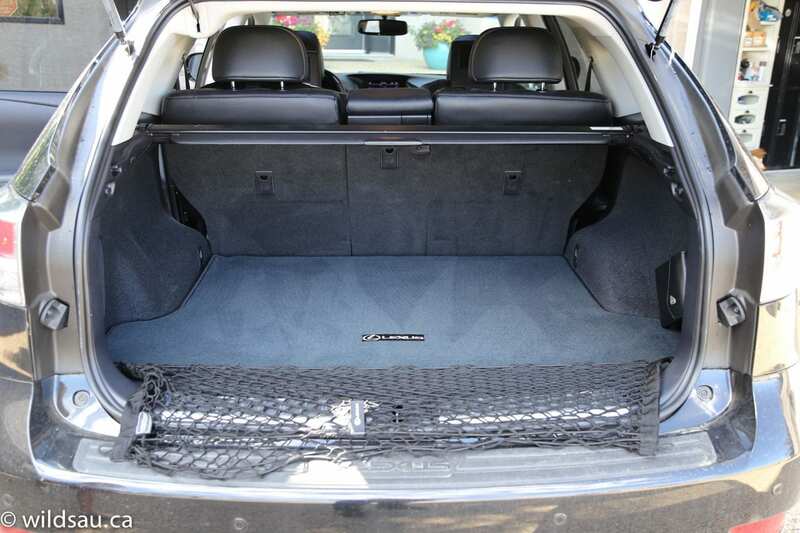 There are good cabin storage options – a large glove compartment, useful door bins and a space under the console, as well as a large bin under the armrest with a cool false bottom that could be used as a secret storage/smuggling compartment. There’s a power lift gate, which lets you into the huge trunk. 1132 litres of space sit behind the second row seats – 2273 litres if you fold them down. That’s a lot. Of note, they fold 40/20/40, which offers excellent flexibility. 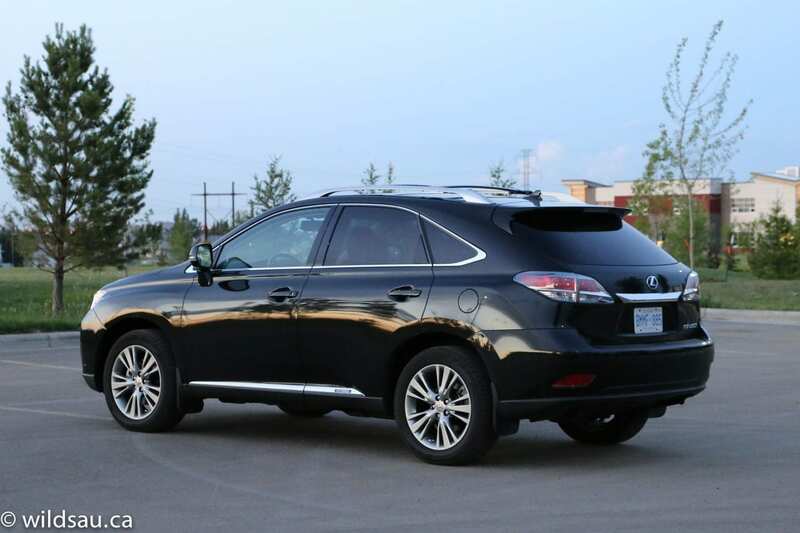 The RX 450h behaves like any other Lexus/Toyota hybrid off the line – soft, smooth, and kind of weak. It feels as though it’d doing its darndest to save fuel for you. It’s totally drivable that way, it just takes some getting used to. But unlike the other hybrids, it’s like a different car when you step on the gas – it’s just as smooth, but it’s actually quite quick! I did some homework and the 0-100 km/h run has been timed from 6.7 to 7.0 seconds. That is not hybrid-like at all! Impressively, that power comes on at any speed, so pulling into traffic at any speed or passing on the highway is no problem at all. The CVT has sport mode and “manual” mode – Sport keeps it revving a bit higher and manual allows you hit up programmed fake gear ratios. Kind of dumb in this application, but hey – it’s there if you want it. You can also put it in EV Mode, driving purely on electric power. It’s a bit of a dog but I suppose it could be a fun exercise to see how far you can get until the gas engine has to start. It’s not for me though. This SUV rides very well, and surprisingly, it handles well too. Body roll is present, but it’s not bad and its road manners are very predictable. 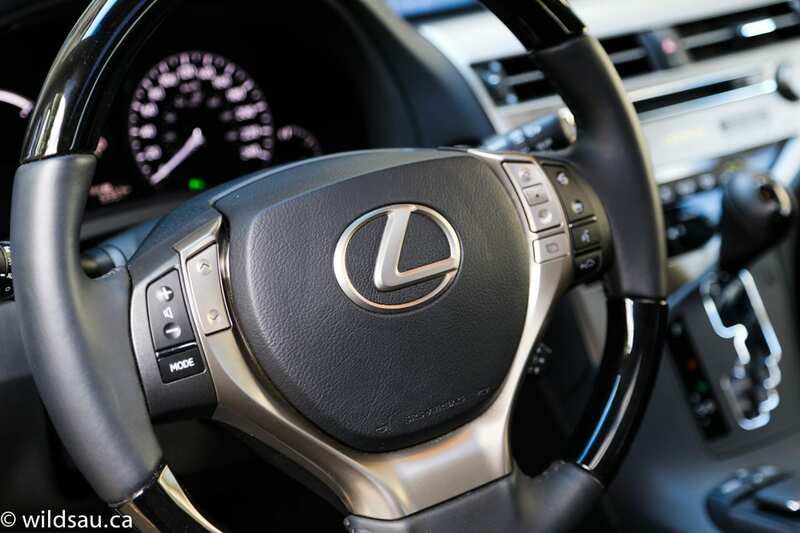 I think that’s aided by one of the better Lexus steering feels. 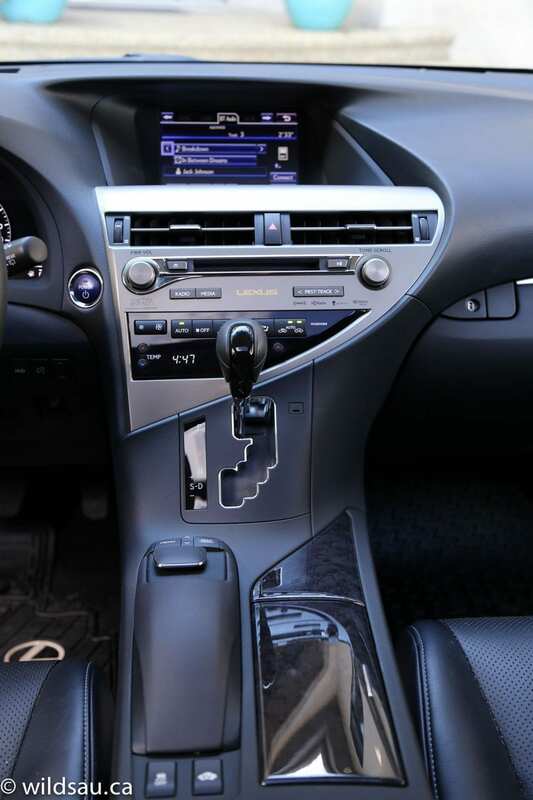 I tend to hack on Toyota and Lexus products for their completely dead, detached and numb steering systems, but this one seemed less so. Yes, it’s still numb, but required more effort than I anticipated (in a good way) and felt slightly more connected to the vehicle. The RX is very quiet, unless you step on the gas – then you can hear the engine but it’s still muted. The brakes are slightly mushy and grabby (as is typical for hybrids) but it’s something you get used to quickly. 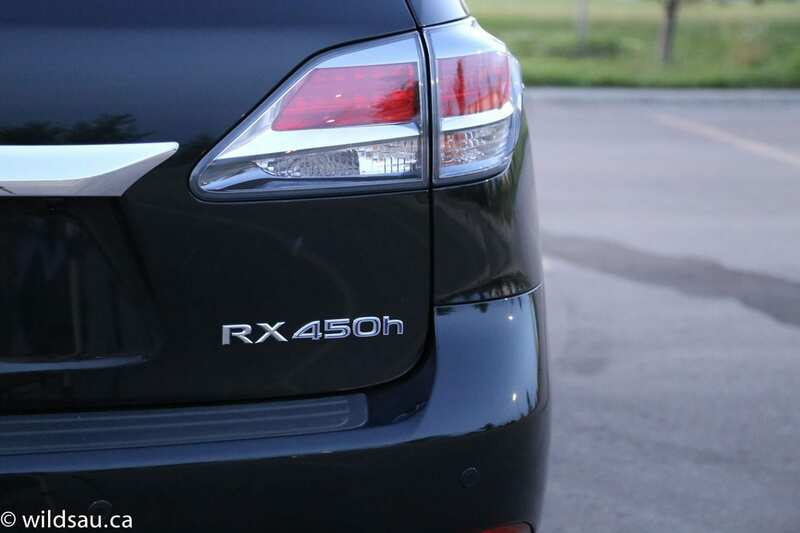 The RX 450h can actually tow – up to 3500 pounds. While the design is starting to get a bit long in the tooth and probably needs more than just an evolutionary refresh, it’s still a decent-looking SUV. The hunchbacked styling belies its size – when you’re standing next to it, you realize that this isn’t a small vehicle. Driving it is a smooth, luxurious experience, and it offers you very agreeable fuel economy for such a large, loaded-up, capable SUV. 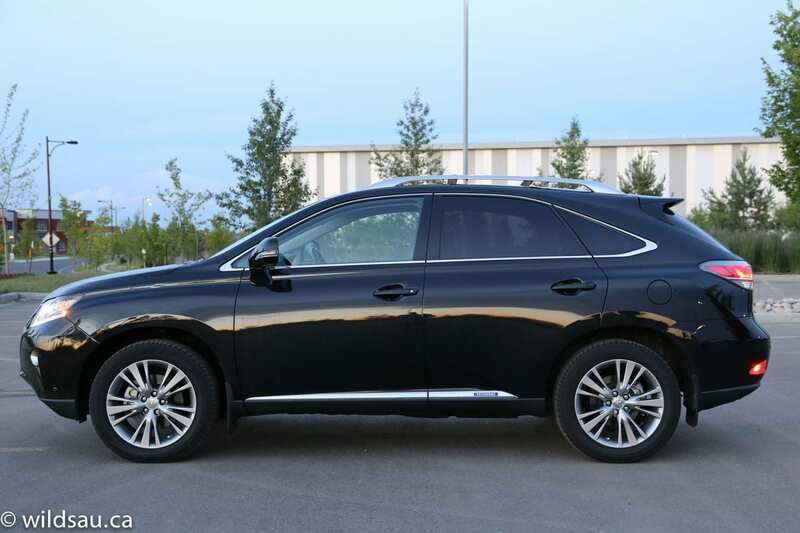 With that said, it would take you many years of driving to recoup the extra cost of the 450h over a normal V6-powered RX 350, so it starts to make less sense when you bring the astronomical price into the picture. WAF (Wife Acceptance Factor) was quite high. She absolutely hated the Remote Touch user interface and never really got comfortable with controlling any of the screen-based functions. 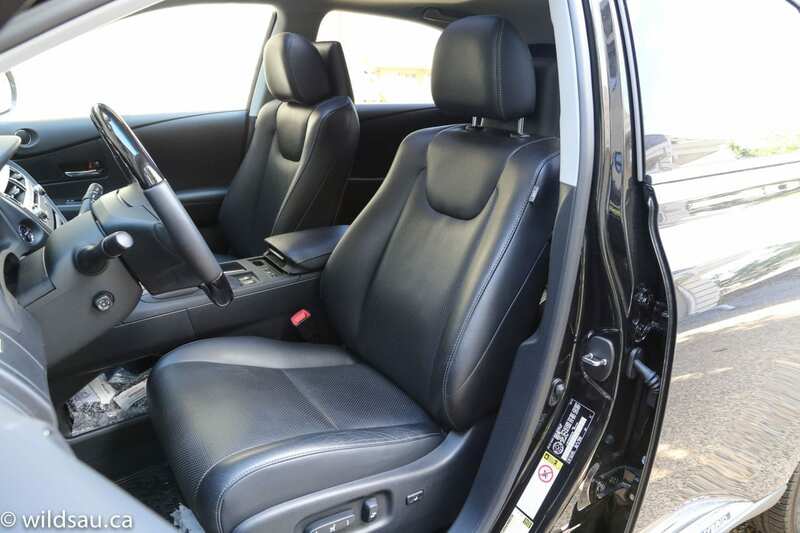 Other than that, she really enjoyed the driving experience and said it feels like a “rich” vehicle inside and out. At this price, there are plenty of options out there. 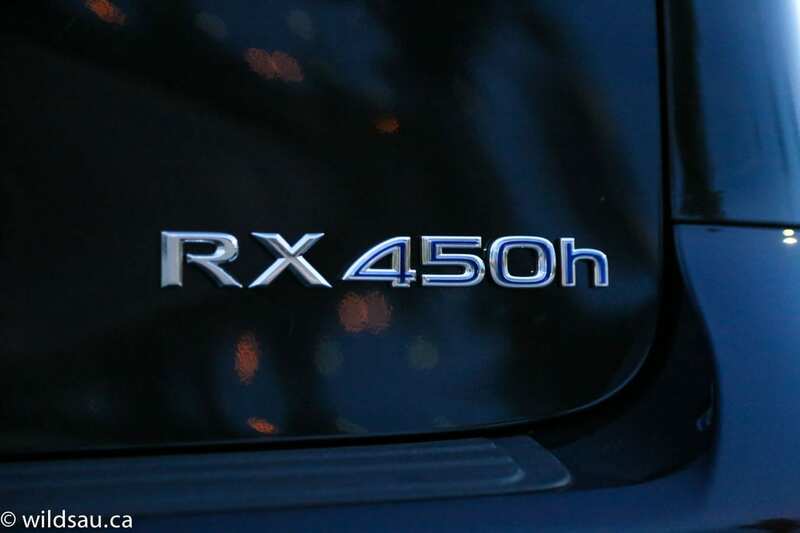 You can’t justify the RX 450h based on fuel economy – certainly not from a financial perspective. 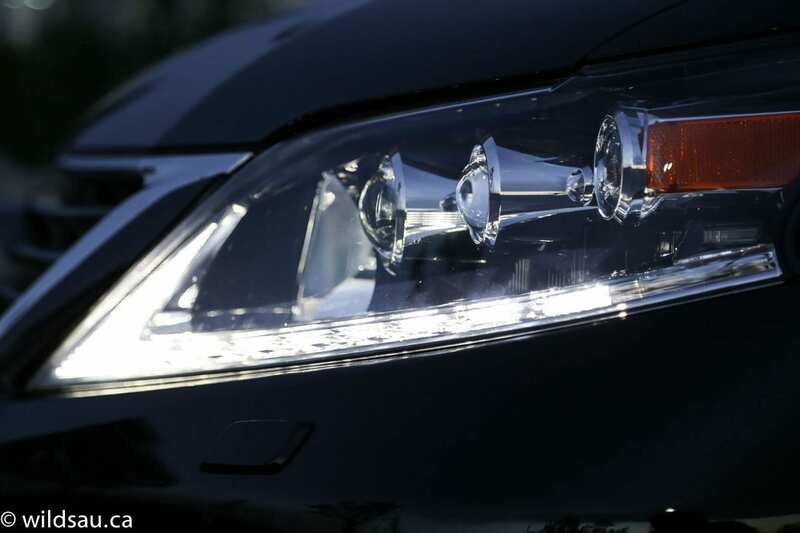 So maybe it’s a vehicle that just offers a lot – inside and out, and throws in the hybrid drivetrain so the affluent can feel better about themselves. That way they can silently glide away on electric power, impressing all onlookers with their eco-weenie status. And then, when they turn the corner and are out of sight, they can hammer on it and get out to the country club as quickly as with any other SUV. Yeah, that’s it.